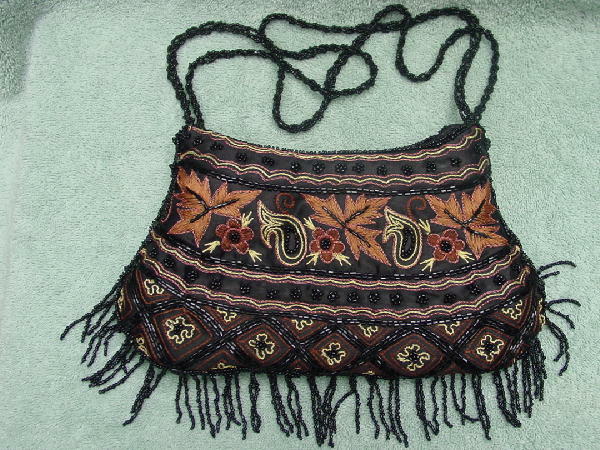 This black synthetic fabric evening purse has 23" long double strand beaded link shoulder straps. 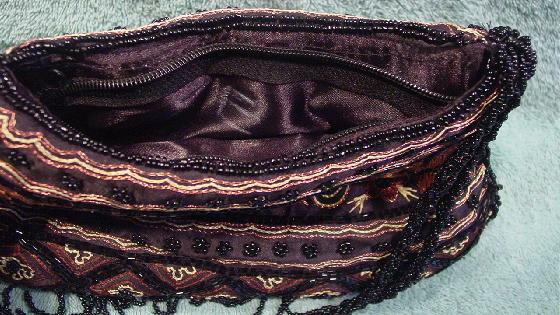 There is a top side to side zippered opening which is 1/2" below the top edges. 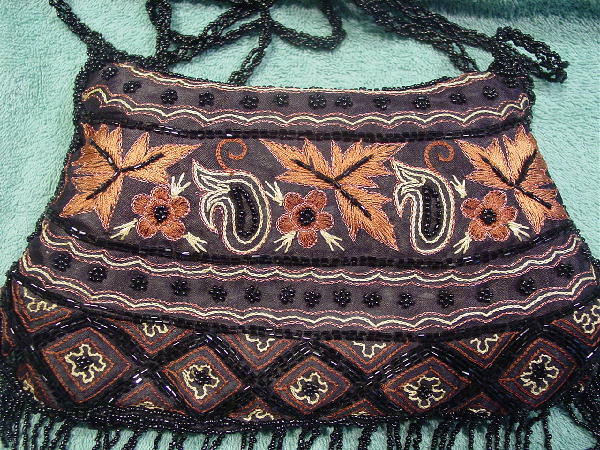 It has a surface design pattern in yellow, light brown, medium brown, and peachy-copper thread with round and elongated black beads. The front and back have the same design pattern. The lower end sides and bottom have 1 3/4" to 2" long beaded dangles. It has a black shiny lining and an interior padding between the lining and exterior surface. There is a white E on the side of the lining. She marked the lining with a white E so the other models she was rooming with in Paris wouldn't borrow it and forget who it belonged to.